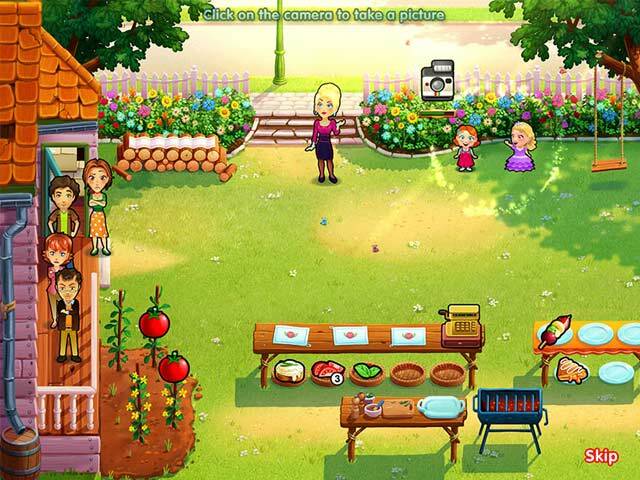 Rated 5 out of 5 by bambam831 from DELICIOUS EMILY'S HOME SWEET HOME TIME MANAGEMENT I HAVE EVERY GAME FROM CHILDHOOD MEMORIES TOTHE LATEST ONE. BUT I BEEN HAVING PROBLEMS DOWNLOADING THE MIRACLE OF LIFE. I LOVE THIS SERIES OF HER LIFE. MY MOTHER THINK I AM TALKING ABOUT A REAL PERSON SO KEEP UP THE GOOD OR SHOULD I SAY GREAT WORK. Rated 5 out of 5 by GloriaZinni from Emilys Home Sweet Home Love this game! I usually don't buy collector additions, but I am sure glad I did! The graphics were awesome as well as the the story line. You will enjoy this game that's a promise! Can't wait for a new one to come out! Keep them coming! Rated 5 out of 5 by KylieFries from Renewed My Faith in Dash Games After completing all the Diner Dash and Cooking Dash games I didn't think that I'd find another game of the same quality. Everything about this game is perfect; The characters, storyline, difficulty, graphics, ect. I'm going to be buying every single game in this franchise. Rated 5 out of 5 by smallplay1 from Awesome I love playing all of the Delicious Emily's game. I just purchased this one after playing the free trial. The challenges on this one are really creative and you have to work hard to complete them. 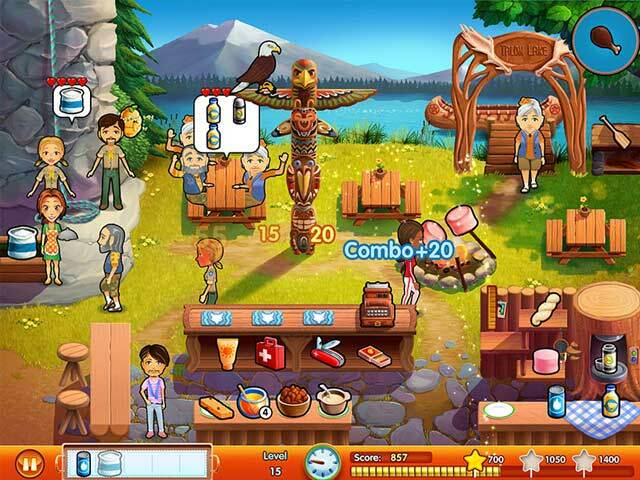 I am on restaurant 2 Talon Lake. I have tried to complete the 1st come 1st serve challenge. I took a break to write the review,sooo I am going back to try to complete the challenge!!!! If you enjoy Emily's other game then you will really like this one!!! Rated 5 out of 5 by maarja0 from Can't get enough! I just can't get enough of the games in Delicious series. I love this type of TM games (lately, sadly, there have been very few of them), but even among the type, I think Delicious is among the best (if not the very best). Different options for difficulty, so beginners as well as experts get an ideal level of challenge, great and multi-faceted characters, beautiful, whimsical graphics... I like that you can complete the level, even without completing the special challenge (of course, I always go back for it, but sometimes it's useful to get some more upgrades before). Yet, I also very much enjoyed the special challenge levels, which are not obligatory, but offer unique perspectives on the game, with the play slightly altered in some way. Renovating and decorating the house is a nice bonus in this one - again, not obligatory, but something extra. :) The game offers many hours of play, and definitely replay value as well. If you enjoy Time Management games at all, or if you want to try one, please pick this game - it's truly worth it! 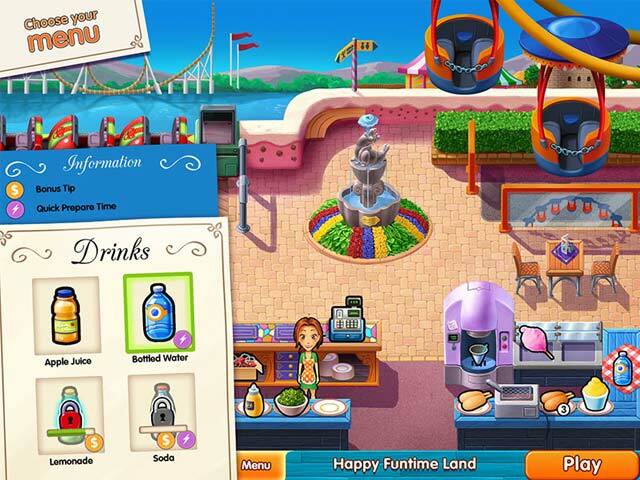 Rated 5 out of 5 by ElizzybethB from Customizing Menus Added to the FUN Factor Another great time management game in the Delicious series. It's always a pleasure when the developers add something extra - whether it is a challenge on every level or in this case the ability to customize the menu offering every level. PLEASE bring us more Collector's Editions!! It is worth it to receive the 10 extra levels!! Rated 5 out of 5 by Death_Unbalanced from Best Delicious Game Yet!! I have followed these games since the first one and I have to say this is the best one to date! Not only does in hold true to the style and gameplay that I love but the upgrades and new additions to the game are just amazing! I love how the food items upgrade and how they do so. I was thrilled that each and every level had something that needed to be done and the extra levels for diamonds were a fantastic bonus to the game! Fixing up the house was a perfect touch! I would love to see the daily quests, extra levels, upgraded items and the working to another goal (this game the house upgrades with the diamonds) remain in the games to follow. Somehow! I know they cannot fix the house each game but I loved working for a goal other than passing the levels. Anything that would keep this kind of element in the game would be fantastic. But I will say, I love how the Delicious games are always different. Different goals and ways the food is done. It keeps the games new and fresh while keeping the core and what helps make the games so wonderful to play. This was the most fun Delicious game to date and I cannot wait until the next is up to play! Rated 5 out of 5 by alwaysmom from Best Emily so far! Love it! It is the best Delicious Emily... game so far! Rated 5 out of 5 by SWDW from Wonderful! Fantastic game and series! Keep them coming! Rated 5 out of 5 by Kitty7neko from Finally~~~ new Emily series!!! I had been waiting for Emily's Home Sweet Home to come out ever since I completed the Emily's New Beginning. I am a huge Emily fan and have every single game! With each game I wonder if it's possible to continue to story and improve the quality of the game...since it's already so good~~~!!!! WELL~~~~ Team Delicious did it again!!! The newest edition of Delicious series is just excellent! Many people already mentioned the basic storyline...so I'm going to skip that. The storyline is great...very interesting~ The graphics is wonderful as usual...but it's even improved to a higher quality. The games have become a little bit more challenging..which I love! There are special mission and quest on each level, which makes it even more fun! Collections and awards are easily viewable. Give the trial a go~~~~ I bet you're going to end up purchasing it~ like I did!! You won't regret giving this game a go!